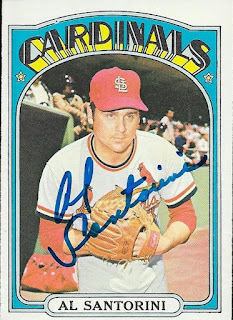 A couple more cards that I picked up from Conrad in Columbia came back signed in this TTM success from Al Santorini. His signature is really nice, and fits well on the above 1972 Topps. Santorini (b. 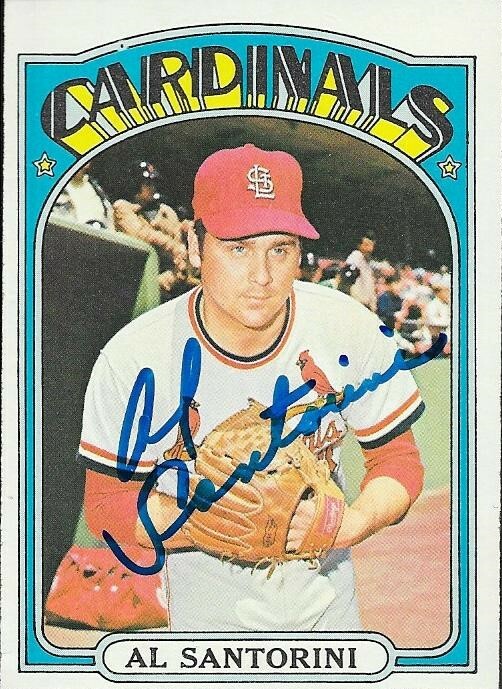 1948) played in the majors from 1968 to 1973 for the Braves, Padres and Cardinals. 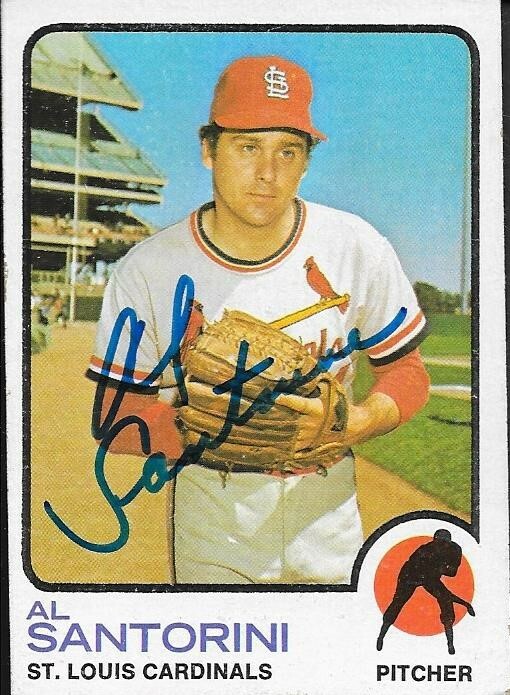 He had a record of 17-38 with 268 strike outs and a 4.29 ERA. I mailed to Santorini on January 2 and got the cards back on January 17, for a 15-day TAT.